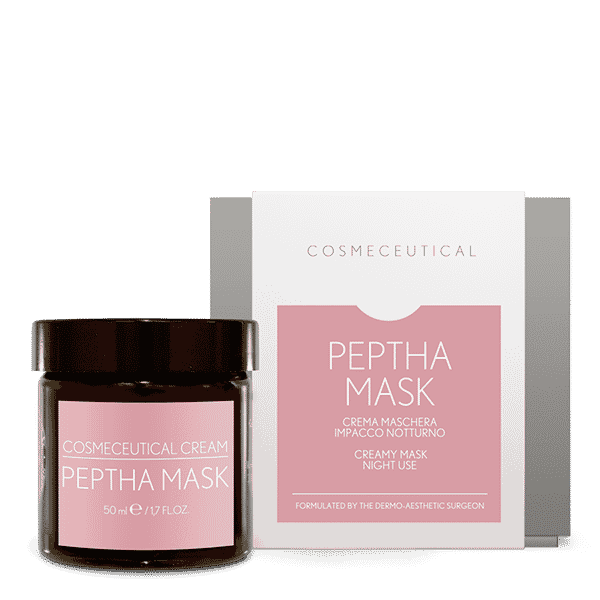 Peptha Mask is an antioxidant “creamy mask” (with cranberry extract), containing innovative anti-wrinkle peptide complexes, stimulating collagen and with lifting and anti-aging effect. Peptha Mask contains hydrolyzed RNA and hydrolyzed DNA, making the skin fuller, renewed, vital and brighter than ever. It prolongs the longevity of skin cells. The skin is regenerated from withing, becoming more compact and elastic. Skin imperfections are reduced. It smooths wrinkles, it reduces skin fatigue and it gives the face compactness for a long lasting lifting effect. PALMITOYL PENTAPEPTIDE – 4 FIRMING AND LIFTING COMPLEX: it acts at epidermis level, stimulating cells and the synthesis of the main structures of dermis and epidermis. SALYCYLIC ACID: it causes exfoliation of the superficial skin layers, it removes keratinous plugs. It has a a bacteriostatic and soothing action, without irritations. MANDELIC ACID: it helps improves acne and skin discolorations due to photo-aging. 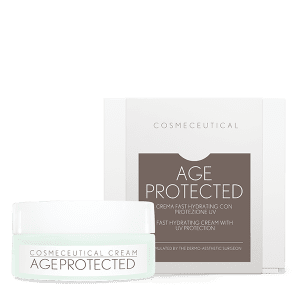 It has a compacting, detox and anti-age action. CRANBERRY EXTRACT: it has antioxidant and antimicrobial action. Its micronization process guarantees soft and silky textures. VITAMIN E: it protects skin from photo-aging and it preserves cells from free-radical damages. ARGININA LYSINE: it has a powerful antioxidant action. Apply it and leave it on for 10 minutes, massage the residues with the deep tissue technique. Do not remove.